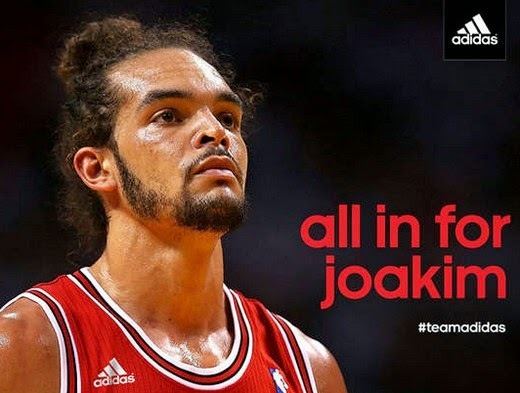 With D-Rose and Luol Deng out, Joakim Noah was forced to move out of his comfort zone to anchor both the defensive and offensive sets of the Chicago Bulls, leading them all the way to the NBA 2014 Playoffs as one of the top seeded teams in the East. That's one tough job right there. The so called Point-Center of the Bulls already registered several triple-doubles in terms of Points, Rebounds, and Assist this year. He continues to revolutionize the game with his dazzling passing skill despite being a big man. The NBA Fans have noticed his efforts and they are aware of the impact that he brings every night for the Bulls. Thus, they converged to vote for him to be named NBA Defensive Player of The Year. Noah got the most number of votes in a pool of 17 defensive minded players. That's how convincing his defensive prowess is. Imagine, he bested the likes of Roy Hibbert and DeAndre Jordan, wow, just wow!